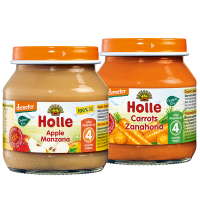 Organic baby food at its best. 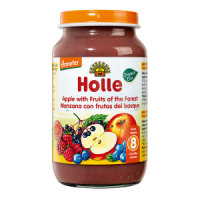 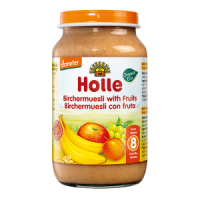 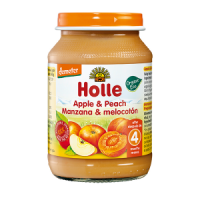 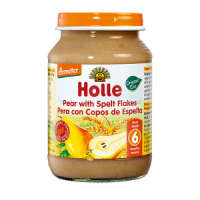 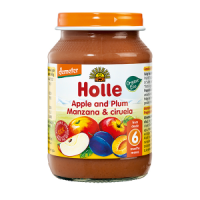 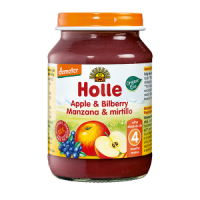 Delicious fruit based jars to serve to baby as they are; with Holle organic porridges or with your own home made recipes. 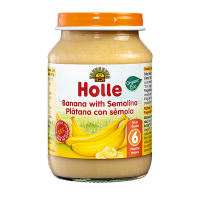 This comprehensive range includes favourite weaning recipes from across the generations. 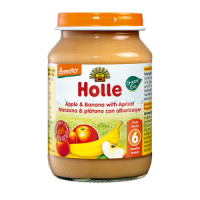 Give your baby the best.